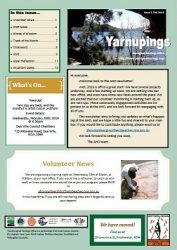 Get your copy of the latest AHO Newsletter, Yarnupings, here. As usual there are quizzes, reflections, news, reviews, thoughts and upcoming events. We hope you’ll find something there of interest.